TEEZ is one of the hottest Jersey Club producers out right now with support from DJs such as DJ Snake, Yellow Claw, Diplo, and many more. Coming off his tour from Asia and playing in some of the hottest shows around the US, the New Jersey producer is back with a hard hitting record on Uprise Music. 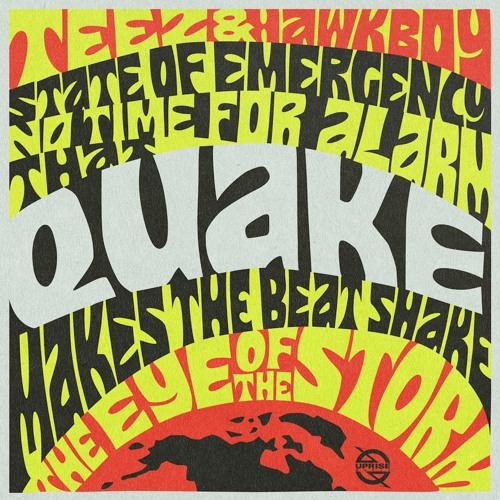 His new single, “Quake” feat. Hawkboy has a hard hitting beat to compliment the equally heavy vocals. Coming off his hit single “Whistle” alongside 4B which was the most played track at Ultra Music Festival and well received around the globe. Touring all over the west coast and the high demand in Asia. The track gives the impression of controlled chaos that the bass in the song literally makes the whole world shake when heard live. This one is sure to turn any festival stage into ground zero. Next articleSpotify beta tests app for Apple Watch and Android!